InnoVector Tech was founded in January 2004 by Dr. Nannette “Net” Stangle-Castor, as a way to pursue her passion for improving society’s health and well-being by connecting innovation to real-world application. Net continually strives to create a flexible workplace that encourages people to be their best and smartest selves. “If our people love what they do, are encouraged to help and support one another, and are given the flexibility to work in the way that best fit their lifestyle, they will produce great work,” she contends. We know it takes vision, flexibility, synergy, hard work, and intellect to make a difference in our world. 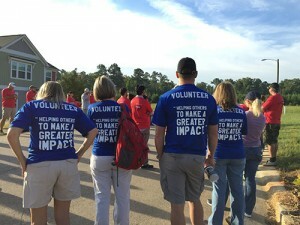 Our focus is to help all the organizations we work with do just that. We partner with our clients to keep them focused on outcomes. Across all sectors, we find the potential for real progress trapped in the “to-do list” tunnel. We begin each project by looking at the whole picture to ensure we are all working together with an intentional destination in mind. What sets us apart is our ability to empathize with our clients, understand and appreciate their unique challenges, and develop thoughtful solutions tailored to their long-term needs. We treat one another and our clients with the same level of respect with which we would like to be treated. We strive to cultivate close relationships with our clients that allow opportunities for training, mentorship, and growth. Our goal is always to empower others by providing them with the tools and training they need to become self-sufficient. Our hope is that they will share their new expertise with others and continue the cycle of learning. At IVT, we believe that if you love what you do, and if you are allowed the freedom to work in the style and environment best suited to your personality, your work will reflect it. We take pride in the fact that we provide our partners with an atypical and progressive work environment. This same flexibility extends to the changing needs of our clients. We are passionate about giving back to our local and global community, and we make a pronounced effort to give our time, talent, and financial support to a number of organizations who support and build up people. IVT President Nannette “Net” Stangle-Castor serves as a patient/family representative and Co-chair for the Oncology Patient Advisory Council for Duke Health, which helps to create positive and impactful changes for oncology patients and their families and caregivers. Net presents at various conferences across the U.S. to share best practices and build continually on the successes of Oncology Patient Advisory Council. In addition, she serves on as a representative on the Duke University Health system-wide Patient Advisory Council and has been the mentor for the recently formed Neurosciences Patient/Family Advisory Council. IVT President Nannette “Net” Stangle-Castor is proud to serve her and husband Jeffrey Castor’s alma mater, Alfred University, as an Advisory Board member for the Judson Leadership Center, with a particular focus on the Women’s Leadership Center. The IVT team supports Note in the Pocket by sponsoring their “Socks & Undie 5K Rundie” and providing website redesign and support. Note in the Pocket is a wonderful local organization that provides clothing to impoverished and homeless school children. InnoVector Tech’s team worked with the leadership at Me Fine to refine and rework their website to better engage with the community that they serve and the generous donors that support their mission. The updated website allows those throughout our community to learn more about their amazing efforts to help those in need with both emotional and financial support. 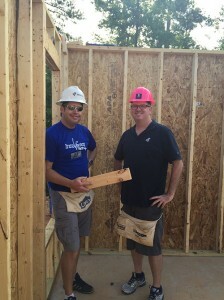 The IVT team participates in Habitat for Humanity workdays and provides donations for the organization to build homes and strengthen the community in our local area. See information on our latest workday here. The IVT team supports the Safe Space Domestic Violence & Sexual Assault Program by providing strategic communications and operations support. IVT redesigned Safe Space’s website, provided operational support with project management tools, and established the organization’s social media accounts. In 2014, IVT spearheaded a year-round engagement strategy with people that the Komen NCTC affiliate serves — bringing education, resources, and services to those that need it most — to reach a vision of a world without breast cancer. Check out this post on some of the social media engagement developed in coordination with WRAL for the 2014 Triangle Race for the Cure, which raised over $1M. InnoVector Tech serves as a sponsor and volunteers for many local youth sport teams, including FOOTPRINTS Youth Sports, the Eagles (a NCFC Recreational boys’ soccer team), the Sharks (a Girls’ U15 Junior Olympic Volleyball team), the Lady Phantoms Softball team, the Thales Knights (a Middle School boys’ soccer team), and the Wakefield Wolverines Athletic Boosters. IVT’s Tech Transfer and Process Consultant, Jeffrey Castor served as head coach for The Eagles. Youth sports programs align with IVT’s values, especially mentorship of young adults and promoting intentionality that helps drive youth towards shared goals. At InnoVector Tech we believe that education is critical and that the inspiration to love learning is one of the most important things we can give children. IVT supports innovative educational environments and contributes time-sharing NASA technology transfer stories with students.